Many marital problems are caused by the unhealthy expression of anger. Couples who don't know how to deal with their anger either grow apart or drive each other away, for example. You have choices, because you're here. We are going to look at the marriage problems that anger causes, and what you can do about them. When you heal your anger and learn good communication skills, you will never let the anger get in the way of the love. By the way, you did get married because of love, right? Of course. Now let's figure out how to keep love alive. Read on, to start creating the marriage you've always wanted, or get some help with your marriage now. 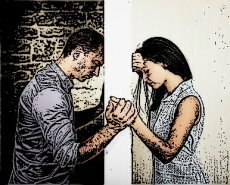 What Marital Problems Does Anger Cause? Anger is not a good communicator. It is designed to push the other person away. So, anger always creates distance and difficulty in marriage. 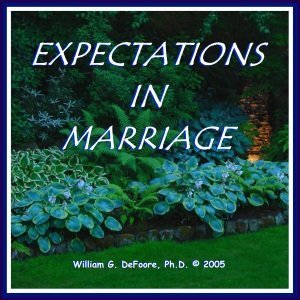 Unmet expectations in marriage--no one gets married expecting a lot of anger. Passive aggressive behavior. This can be even more destructive than openly expressed anger at times. Learn the definition of passive aggressive behavior, so that you will know if this is happening in your relationship. The silent treatment is actually a form of anger, and can be very destructive. A lot of people fall into this when they're trying not to show their anger. Lack of intimacy. It is pretty hard to be sexually intimate with someone when you are angry, or if they're angry with you. Physical abuse, verbal abuse or emotional abuse and in some cases the battered wife syndrome. Depression, anxiety and physical illness can also result from anger problems in marriages. You don't have to be a victim to these marital problems! Follow this relationship advice now, and create the marriage you have always wanted. 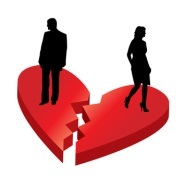 Also learn about marital problems that can lead to divorce. What Kind Of Help Can I Find Here? We offer many types of help for all kinds of relationships on this web site. Our focus here is marriage, so let's focus there. What to do if you're dealing with jealousy in your marriage or intimate relationship. You'll also want to learn about the signs of jealousy, so you can see the "green eyed monster" coming! How to identify the early warning signs of alcohol abuse, which is a problem in many marriages. Methods and techniques for controlling anger in marriage and all relationships. How to raise your self esteem, a major key in creating a healthy, happy marriage that lasts. How to build and maintain boundaries and sexual intimacy in marriage, so that the love just grows and grows! How to develop a positive attitude in your marriage and all aspects of your life. This helps with everything! There you have it. All of the resources you need are right here, and all you have to do is use them--because you are the best anger management resource of all! Hear A Sample Of This Audiobook Now! How To Create Personal Boundaries--Learn what personal boundaries are, where they come from, and how to creat healthy ones in all of your relationships. Signs Of Infidelity And What To Do--Learn the warning signs that your partner may be unfaithful, and how to manage your thoughts, feelings and actions as you deal with the fear and doubt. Overcoming Infidelity In Four Stages--Find out about the stages of emotion, thought processes and actions you will need to consider in your healing and recovery process. Solving Marriage Problems--Learn about the many different roles we play in marriage, and how you can do your part to make sure they are all healthy. Learn how to be your partner's best friend, while staying true to yourself and your needs. Are You A Narcissist?--You might be, or you might be in a relationship with one. Either way, you need to learn about this problem, and how we all need self esteem, but narcissism is self esteem out of control. Free Online Help With Your Marriage? Here's your chance to ask Dr. DeFoore about your situation. It can be about your husband, your wife or your marriage. Tell your story with as much detail as possible, and he will give you some free counseling if your story is selected for publication.